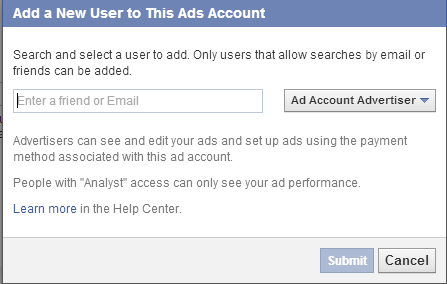 If you are not directed to the proper place, log into your Facebook page and click on the Settings link on the left side while in the Ad Manager. 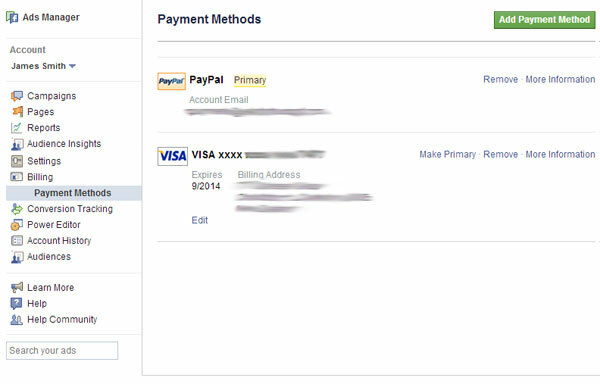 If you are not directed to the proper place, log into your Facebook page and click on the Billing > Payment Methods links on the left side while in the Ad Manager. Click Add Payment Method and fill out your payment details.